If you're looking to buy a new LED TV for 2011, the big brands — Samsung, Sony, LG, Panasonic and others — all have plenty of models you can choose from. All of these TVs have different features on offer, different prices and different pictures, but if you've narrowed your choice down to one of two models it can be a difficult decision to make. Here, we'e comparing the Samsung Series 7 to the Sony BRAVIA HX820. They're both one model down from the most expensive LED TVs offered by each brand, and we think they both represent good value for money without compromising on included features or high quality specifications. Both the Samsung Series 7 and Sony BRAVIA HX820 are well-built using high quality components — they don't feel at all plasticky or cheap. The HX820 has a single, sheer glass panel across its front, with no embossed bezel to catch dust, where the Series 7 has a very thin metallic strip running around the TV's edge. They're both very attractive TVs and we'd be hard pressed to pick a winner. If we were forced to choose, we'd probably go for the Samsung Series 7 — its overall bezel is thinner than the HX820's, and the thin chromed edge looks very attractive. It's a very slightly thicker chassis — 29.3mm as opposed to the Sony's 27mm — but it's slightly smaller in all other dimensions for an identical screen size. It also comes with a superior remote to the Sony HX820. 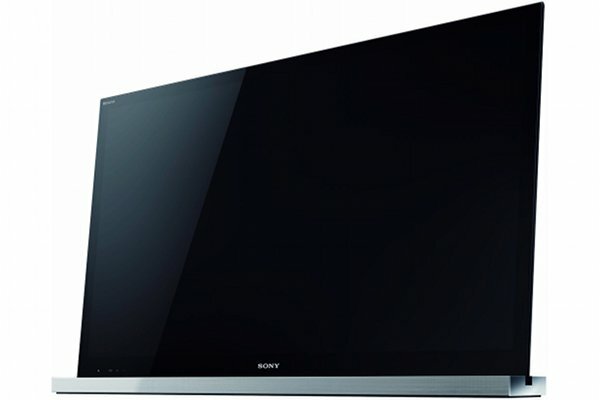 Both the Sony BRAVIA HX820 and the Samsung Series 7 have the full range of digital and analog connectors on offer, although older connectors like composite and component video are only available through break-out adapters. Both of these TVs should have more than enough connection options to allow you to plug in multiple devices. Both TVs have Ethernet for connecting a wired network, and integrated Wi-Fi to connect a wireless router. If you're going to be using the Web features of these TVs — and you should, since you're paying for the features — we'd opt for wireless because there is no need to run messy cables, but neither TV is superior in this area. Samsung's Web features are referred to by the Smart TV moniker, and Sony's come in the form of both BRAVIA Internet Video and Sony Internet TV. In terms of the amount of content on offer it's a tight race. Sony's streaming TV channels means there is always something running that you can watch, and the HX820 is a great tool for just flicking over to iView and catching up on all the ABC shows you've missed. Samsung's app interface lets you do more though — since you can install the services you want, it's more versatile. BigPond Movies On Demand is also a big feature of Samsung's app line-up, so you can use the Series 7 to download movies without moving from your couch. We'd probably opt for the Samsung Series 7 over the HX820 in this area purely for the ability to download and try different apps on a whim. In terms of 3D, both TVs have 3D transmitters built in and both come with a couple of pairs of active shutter 3D glasses. Replacement or extra 3D glasses for the Samsung and the Sony are edging $150 — Samsung wins out with its $129 sports-style 3D glasses, while Sony's best are $149. Samsung's Series 7 and Sony's BRAVIA HX820 are both Full HD, 1080p, 46in LED edge-lit LCD TVs. They're both able to display excellent levels of detail when showing high quality content like a high definition Blu-ray movie. Again, it's a tight competition between the two and we think that whichever you choose will be a very high quality panel that's able to do an excellent job when it comes to displaying movies, TV, streaming video and other content. We've had the chance to take a look at both the Samsung Series 7 and the Sony BRAVIA HX820 and run through a few movies on them, and while it's a very close comparison between them we'd have to give the gong to the BRAVIA HX820. It has excellent black levels in its Cinema mode, which means that if you're watching a movie in a dark room the background can melt away — you won't see any 'bright' black on the TV. Both the Samsung and the Sony are able to display great colours, and both are very vibrant. Again, the Sony panel has a slight edge in the amount of detail that can be seen in colourful areas of the screen — an effect of slightly less saturation and better video processing. When it comes to displaying fast motion video, however, we'd take the Samsung. It allows the intensity of motion compensation to be adjusted, so you can tweak to your heart's content and find the best setting for whatever you're watching. Sony's 'MotionFlow' implementation is still good, but offers less customisation — and the 'smoothest' mode is a little unrealistic. Sony wins out on price here, which is surprising. A year ago, Samsung was the price leader with its brand new range of slim LED TVs, and undercut the market significantly — and made a killing in the process. Sony's caught on and lowered its prices accordingly, and with almost all of its 2011 TVs offers a comparable product at a lower cost. It's surprising, but a Sony TV is actually now a good value purchase. Samsung offers the Series 7 in two screen sizes — a 55in for $4099 and a 46in for $3199. Similarly, the Sony BRAVIA HX820 can be bought in 55in and 46in sizes but for a few hundred dollars less at $3999 and $2999 respectively. Sticker prices in big retail stores should be at least a few hundred dollars cheaper again for both brands. 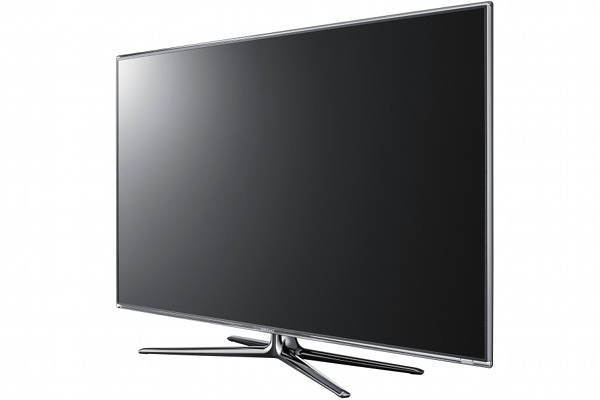 Choosing between the Samsung Series 7 and the Sony BRAVIA HX820 is a difficult proposition. Both TVs look good, have good picture quality and offer a range of features built-in. After considering all the features on offer, we'd probably give line honours to the Samsung Series 7 — but only by a whisker. The Sony BRAVIA HX820 is also excellent, but the Samsung's extra features do go some way to justify its higher price tag.